The 270c supports 16-bit video on its screen if you select the 640 x 400 pixel mode under Options in the Monitors control panel. 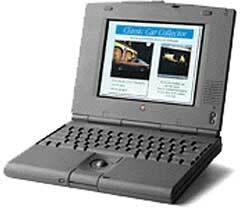 Picking a low-end colour PowerBook, Adam Robert Guha, Apple Archive, 11/10/00. If you want color and portability, but don’t need PowerPC speed, here are your options.